In order to be first in line to buy a hot new video game, Neil hides out overnight in a store filled with high-tech, surreal toys. There, he meets another hide-away with a bent for philosophy. As is the case with many of my stories, the theme is the question of what is real. The issue is complicated here by recursion playing a large role. Published in Analog Magazine, 2009. 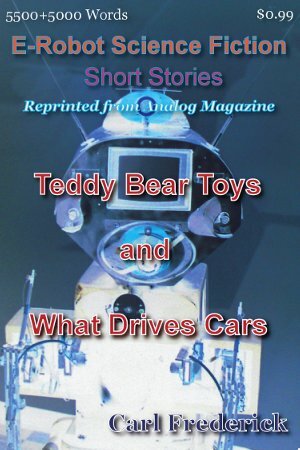 This is your normal Analog Magazine, intelligent car story. As for the Norwegian element in the story, well...I speak Norwegian. The story appeared first in the May 2008 issue of Analog Magazine.